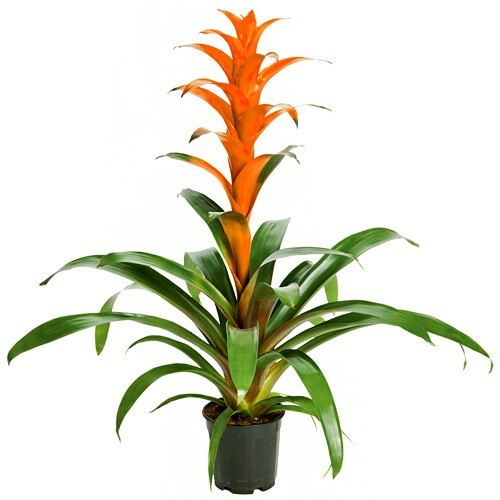 Guzmanias are wonderful for interior decoration at your home or office. Their large and showy flower grabs the attention and rewards the eye with many weeks of color during the year. These plants love indirect light or moderate shade, and a constantly wet soil, and feature shiny green leaves around central colorful flowers.